We love Persian weddings! The beautiful intricacy & symbolism of the Sofreye at the ceremony , the fun of the Raghse Chaghoo or Knife Dance at the reception before the cake cutting, the enthusiastic dancing, and of course the delicious sweet rice called shirin polo served at all wedding dinners - yum! Throughout the ceremony, there are so many wonderful moments to capture: the couple's reflection in the mirror that represents eternity; the groom's request to the bride to marry him and the keeling and clapping of the guests when she says yes; and the honey exchange, where they each dip their finger in a jar of honey and then feed to each other symbolizing a life of sweet love together. Plus it's a bonus for us as the photographers that the couple is seated facing their guests instead with their backs to them! In this image, we see the white lace canopy held by the wedding party over the couple; female family members have just rubbed sugar cones over the canopy sprinkling sugar on the cloth to literally shower the couple in sweetness. I love how throughout the ceremony, the wedding party and family members are actively involved. 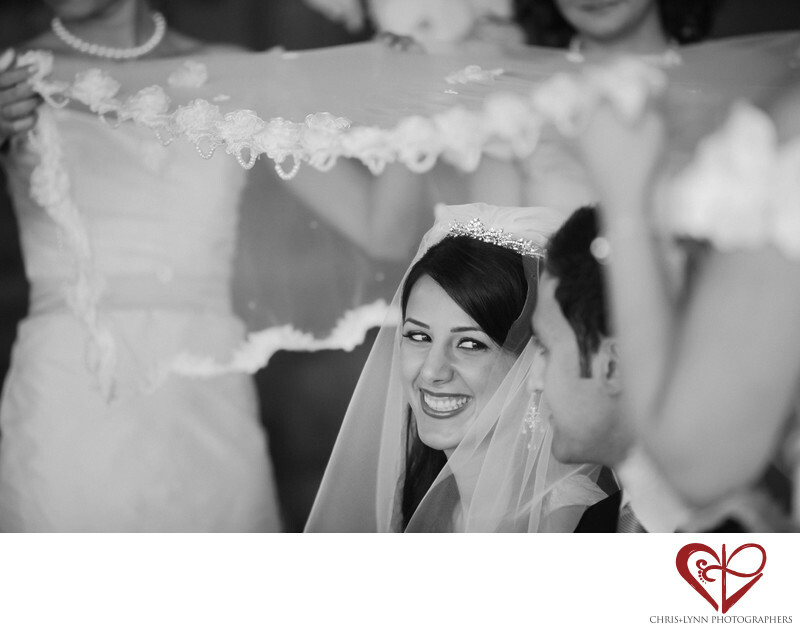 And I love this bride's genuine smile of love to her husband as they celebrate a life of sweetness and honey! 1/640; f/2.8; ISO 800; 200.0 mm.